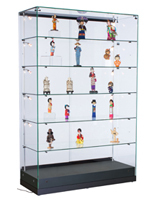 These black LED display cases are great for showing merchandise like jewelry, memorabilia and electronic devices with their full-view design. 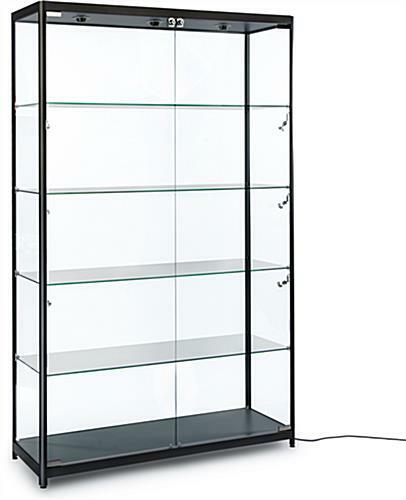 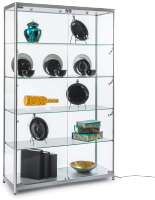 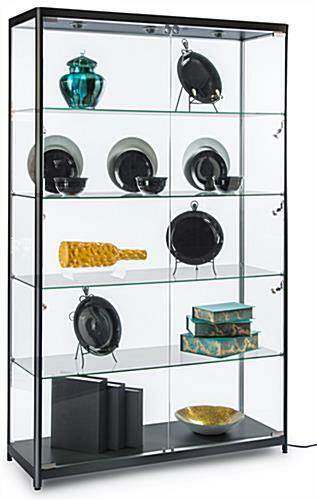 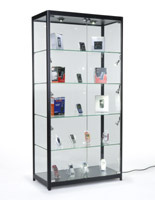 Each cabinet also comes with clear tempered glass shelves for maximizing visibility. 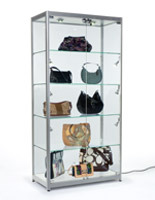 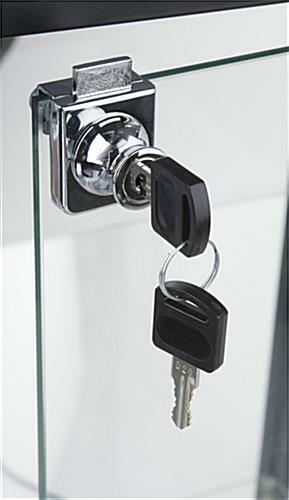 To protect goods from theft, the LED display cases feature two locking doors that are also see through. 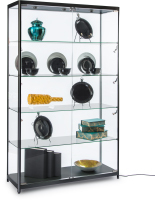 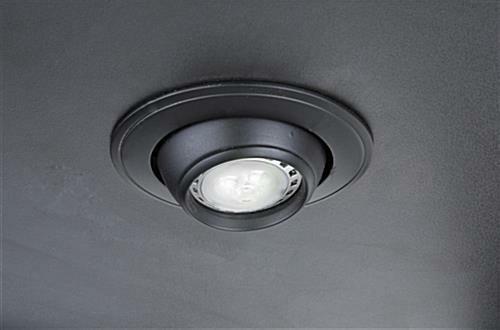 The stands with tempered glass shelves illuminate wares with their nine lights, three mounted on top and three mounted on each front corner. 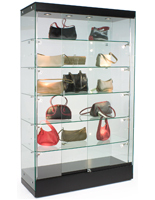 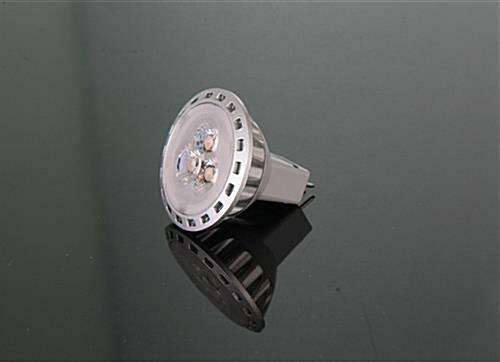 The locking display cases' bulbs can be adjusted to point at items. 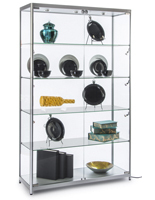 This type of cabinet also features floor levelers and a sturdy aluminum frame.